The longer I am in clinical practice, the more I can see how mental attitudes and emotional stress contribute towards physical dis-ease. Listening to people’s stories, the language they use with their words and body, paints a clear picture of where we need to go with treatment. As an herbalist, I always treat with herbal medicines. 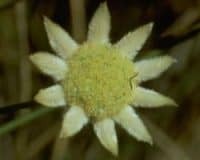 The same plants have been used by all the major civilizations down through the ages for the simple reason that they work. They have the same healing powers for us in modern times as they did with our stone age ancestors, although the challenges we face now are quite different. Herbs primarily heal on a physical level, but given that many dis-eases commence on an emotional and mental level, wouldn’t it be wonderful if it could be stopped there – without us ever having to get physically sick? This concept was what first led me to explore flower essences in the early 1990s. 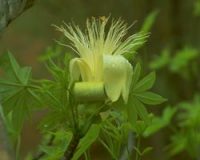 Flower essences too, have been used since Stone Age times. Indigenous Australians were observed by the white settlers to soak flowers in water in the sun and drink the water. Across the world many countries including India and South America, have similar traditions. 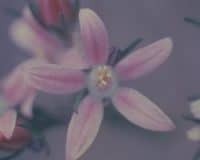 For western civilization, the ancient Egyptians, Hildegarde von Bingham, Paracelsus and Dr Edward Bach, used flower essences for healing. Flowers are the highest expression of the plant kingdom so contain the most healing potential. 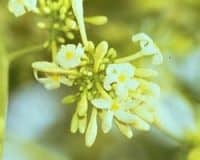 I always use flower essences as part of the healing regime for every person who comes to see me, as they help heal the underlying attitudes and emotions on a very deep level. Huge shifts occur for many people when they start taking flower essences. 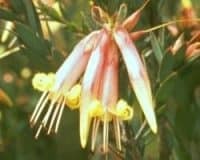 Australian Bush Flower Essences include flowers to help improve self esteem, parent & child relationships, overwhelm, memory, learning problems, group harmony, guilt, jealousy, obsession, co-dependency, addictions, grief and anger. These are often things we all experience at one time or another. You don’t need to be professionally qualified in anything to know if you need assistance with any of these issues. Imagine if you had access to healing tool that allowed you to move through these difficult emotions faster and with fewer traumas? The great thing about flower essences is that anyone can choose what they or a loved one needs. They are totally natural, with no effects and are safe for people of all ages. 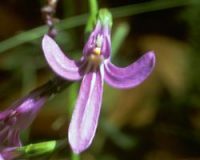 Even many animals have improved on flower essences, strongly suggesting that the improvement is not due to a placebo effect. Other remedies can assist in developing your spirituality. 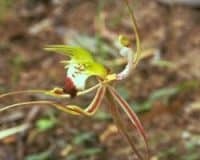 For example Bush Iris helps open up the third eye and clairvoyance, while Green Spider Orchid enables you to communicate with other realms. Sydney Rose gives us a sense of being at one with God. 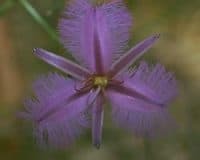 Angelsword and Fringed Violet protect you energetically. 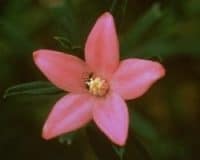 Pink Flannel Flower brings a sense of gratitude and Boab assists with releasing negative family and karmic patterns. Author: © Linn Wiggins. RN. Dip Herb Med. ATMS. The healing power of plants has been known for thousands of years with our ancestors leaving behind many records of their use of flowers as medicine. From ancient rock paintings in Europe and Australia, to hieroglyphics in the pyramids of ancient Egypt to the texts of the Hippocrates of Greece and Dioscorides of Rome, there is a rich traditional of knowledge, which has been passed down through the ages. Much of the wisdom has been passed down orally also, amongst the shamans and medicine men and women of the native American Indians and indigenous Australians. 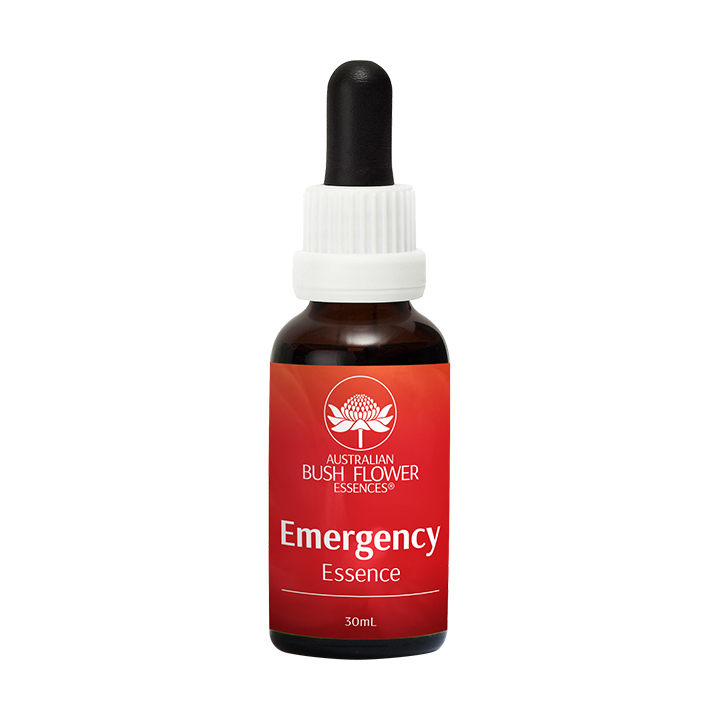 Flower essences were rediscovered by Dr Edward Bach, a Harley Street physician. He went on to develop the still popular ‘Bach Flower Remedies’ range. 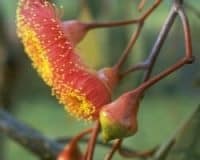 In the 1980s, fifth generation Australian herbalist Ian White launched the Australian Bush Flower Essences. Amongst his range are many essences, which address some very modern issues. For example there is the Cognis (or superlearning) combination. Students report much better results after taking this combination prior to exams. Paw Paw This flower assists us to digest information. In these modern times, many of us are suffering from information overload: there is simply too much to take in. We are relentlessly bombarded with information all day long. This leaves many people feeling totally overwhelmed. Paw Paw helps relieve this feeling. 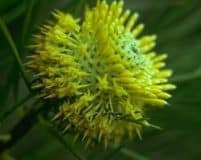 Isopogon This flower helps us to recall information we have previously learned, be it a language learnt in childhood or the details of a study course we need to have fresh in our mind for an exam. 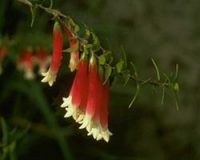 Bush Fuchsia One of the stars of the range there many quite astounding case histories documented for this one. It is used for anything to do with speech, hearing or learning and appears to have a balancing and rewiring effect on the brain. Many testimonials are on file for improvements in stuttering, stammering, dyslexia, glue ear, ADD and recuperation from stroke. Crowea Another essence assisting with digestion, Crowea helps us assimilate the information we need and to discard the rest. Many of us today are choosing to live our lives much more consciously than previous generations and are wanting to parent in a way that breaks the cycle of passing down negative family emotional patterns. Several of the essences directly address these issues. Bottlebrush assists mothers and their babies to bond intensely as nature intends, especially if there has been an interruption to this bonding (common when there has been medical intervention during the birth). Research shows that if a baby does not go on the breast within six hours of birth, the bonding process is severely compromised, much to the distress of everyone involved. 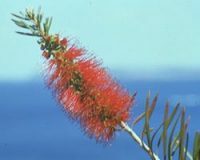 Bottlebrush can re-establish this vital bonding, even many years after. 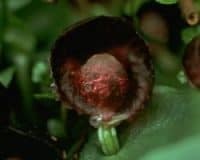 For bonding between father and their children there is Red Helmet Orchid. This one helps fathers not to overlook their small children and also to provide a positive role model as an authority figure by healing any internal issues they may have around discipline, limits, responsibility and authority. For the same reason, it is also wonderful for teenagers during the rebellious stage. Finally there is Boab, which is used to help us stop passing on our (often inherited) bad attributes to our children. It is said to cut negative karmic ties between family members and others, leaving us freer to live out the destiny we were meant to have, uninhibited by shackles which don’t belong to us. 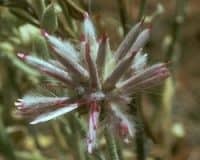 The aborigines of the Kimberleys were still using this remedy in a similar way in the not too distant past. Self-esteem is another issue many people struggle with. Somewhere in our lives, most of us suffer from a period of low esteem. The worst time for this is often puberty and this can lead to all sorts of problems. Five Corners is the remedy to help raise low self-esteem. Five Corners helps give us self-confidence – to allow our star to shine. It can also be used to overcome subconscious sabotage patterns. You can recognise if these are running in your life because despite doing everything in your power to achieve a cherished goal, somehow something always happens to prevent you from reaching it. Guilt is another way we can make ourselves feel bad: for something we did or didn’t do. 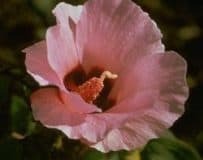 Sturt Desert Rose helps us to release guilt and to move forward in our lives. It also allows us to remain true to our own sense of personal integrity even if this goes against the values of those around us. 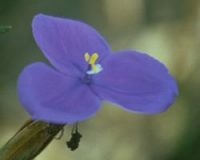 This flower is the national floral emblem of the indigenous Australians and makes a powerful remedy. A more insidious means of lowering self-esteem is the failure to acknowledge ourselves. How many of us in this country shout our achievements from the rooftops before throwing a party to celebrate? It’s almost viewed as being un-Australian! The tall poppy syndrome is alive and well…. don’t stretch your neck too high above the others or it might just get lopped off! However achievements, no matter how modest, do need to acknowledged, even if quietly amongst those who love us best and will share in our joy. It helps us feel good about ourselves. If this is hard for you Philotheca is the remedy to help you to open yourself to acknowledgement. There are sixty-nine essences in the range – for emotional, physical and spiritual issues.